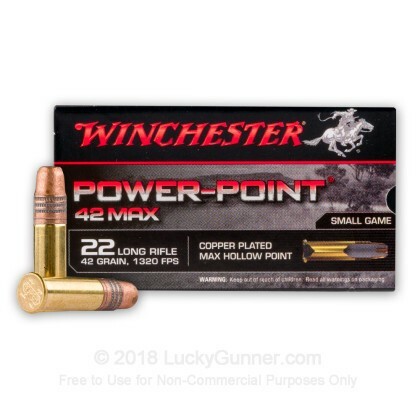 Grab a box of Winchester's 22LR Power Point ammo on your next hunt or trip to the range. 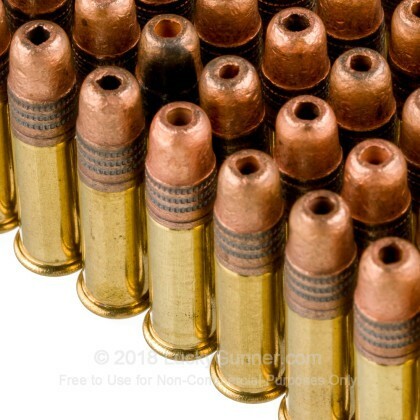 The copper plated hollow point is designed to expand on impact creating a massive terminal wound cavity. This round is fast flying at 1320 fps and is ideal for plinking or small gun hunting. 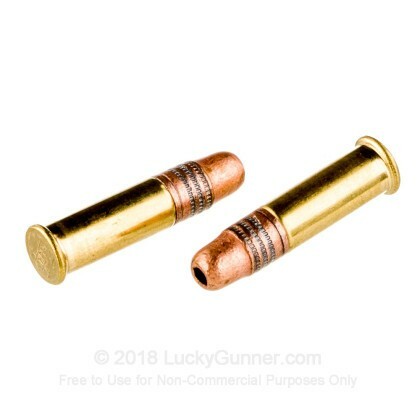 This ammo is brass cased, non-corrosive and rimfire primed. 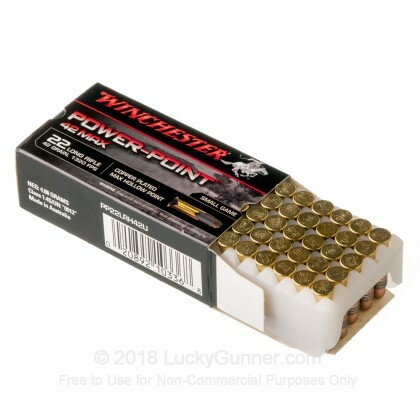 I ordered a box of this and 17 boxes of 2 other calibers on Friday, paid the lowest shipping cost and was quite surprised to see it at my doorstep on Saturday. Now that's service. 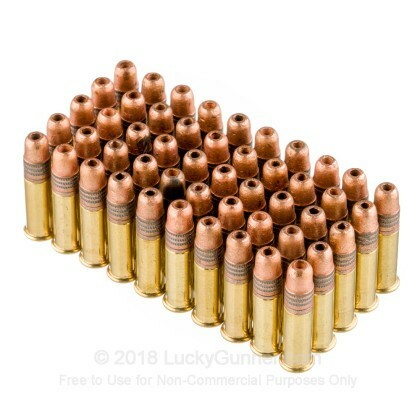 Low price on quality ammo, low shipping( I suppose) and quick fast and in a hurry service. I'll be coming back for more. Such a good deal, & fast service. Just another satisfied customer, from the Hoosier State. It's great to be able to come to your site, & find what a guy is looking for. So many places have a sign that says, "Out of stock". 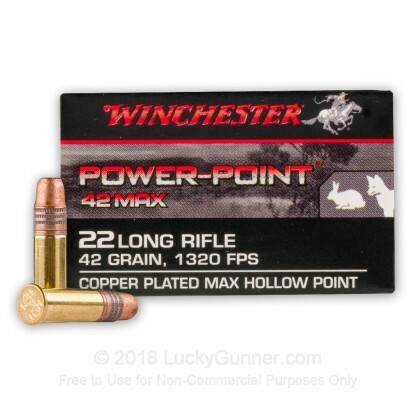 We also have this 22 LR - 42 gr CPHP - Winchester Power Point - 500 Rounds ammo in stock in a bigger quantity.